Hi, so you have downloaded one of my Exchange PowerShell script, and you liked it ( i hope) , so now you want to schedule the script to run in a schedule that you like. 2. Type a descriptive name for your task and click Next. 3. On the Trigger section, choose your schedule that fits your needs. 4. On the Action, choose “Start a program” ,Click Next. Note : Replace D:\Myscript.PS1 with your script path. This is a long path, and there is a limit for the length of commands in the Windows Task Scheduler. Keep that in mind. Task: There are some custom holidays that i need to be imported to all mailboxes in the organization. The custom holiday event must be set to all day events and it has to be with status “Out of Office” not “busy/Free/Tentative etc” We do not want to have any kind of user interaction, meaning no .hol file to be created and then sent it via email OR via GPO. 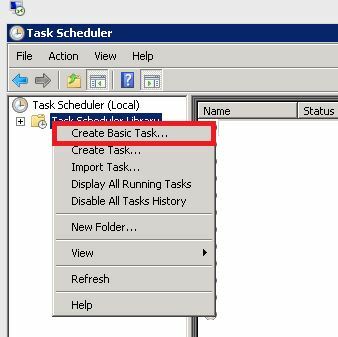 Simple script file running successfully in task schedule but -sendmail parameter is not working in task schedule. So i make .bat for this. 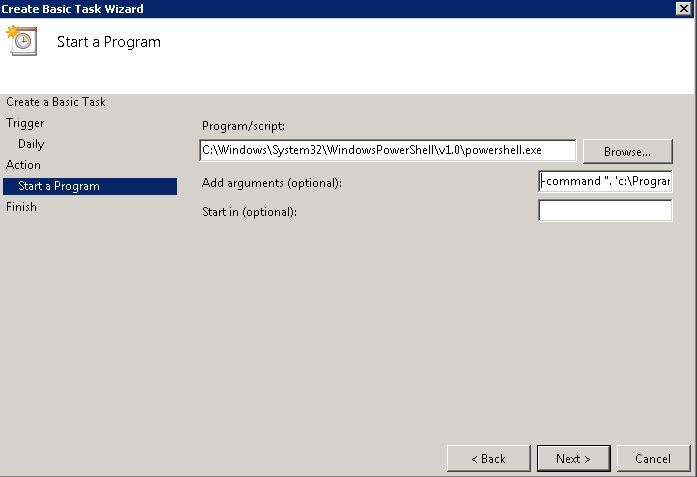 I successfully run this in my window server 2016 and exchange version is 2016. This is my bat file data.